This reflection is written by class of 2014 Masters candidate Damon Ahola. 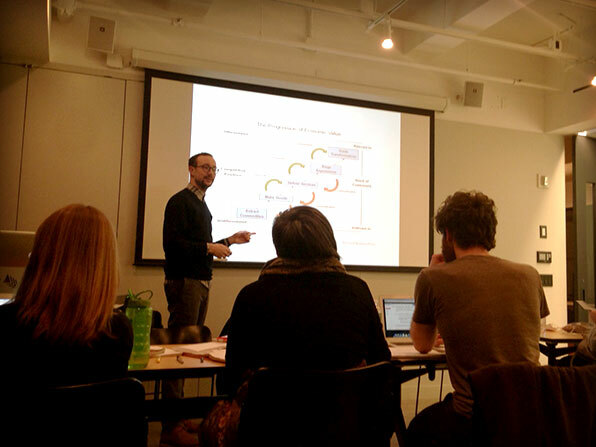 Framing User Experiences, taught by Jason Severs (Creative Director at Frog NY), is a seven week course that immersed students in the understanding and framing of meaningful connections throughout life. Designers have a responsibility of shaping experiences by thinking through and planning the orchestration of living. Enriched by a series of weekly readings and written summaries, class discussions focused on defining experiences and the importance for creating richer, authentic experiences. By focusing on one single story at a time, designers start to understand connections of wants, needs, objects and systems. An in-class workshop had students auditing an experience overview of air travel. By mapping every touch-point throughout the experience—from planning to packing to getting to the airport through security and even eating at the terminal's Chili’s fast food restaurant—the multitude of decisions and interactions required for this daily activity was illuminated. Our class observed failures and successes throughout the system, and determined what interventions as designers might be beneficial. Class discussions related to themes and ideas on experiences, society and design. Having an Experience by John Dewey described experiences as continuous, but only a real experience as singular, complete and unified. In art, "artistic is the making while aesthetic is the appreciating;" the work of an artist must be experienced aesthetically. Students read a wide array of material for further in-class discussion: The Experience of Products and The Politics of the Artificial by Victor Margolin, Discovering Design Means [Re-] Discovering Users and Projects by Augusto Morel- lo, People and Things and The Transition Between Persons and Things by Mihaly Csikzentmihalya, Three Levels of Design by Donald Norman and Accelerando by Charles Stross. 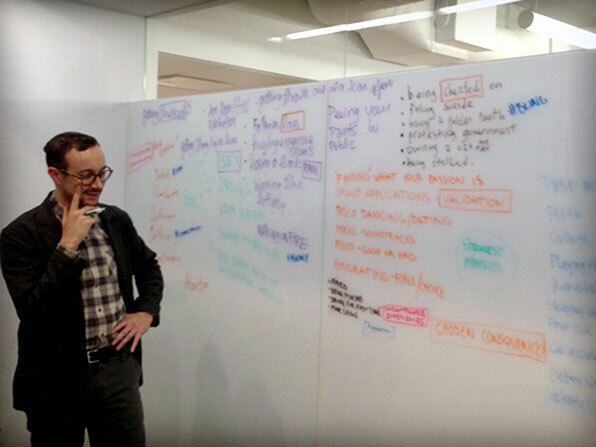 In teams , we brainstormed on how we might improve the experience of hospital visits in rural Africa. The cur- rent system for communicating, transporting and administering necessary aid is very inefficient and susceptible to change: Medical centers are located many miles away, and automobiles may be difficult to acquire. After walking though the experience, the teams identified crucial touch-points ripe for improvement as a way to create more efficient and gratifying experiences. 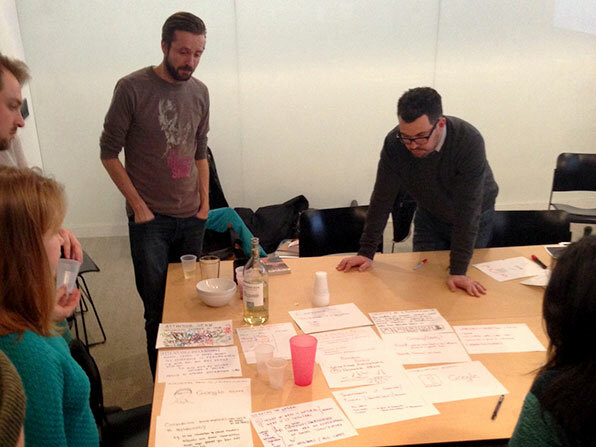 Live mapping of the film The Game illustrated the nuances of planned interactions when designing a curated experience. Here, Michael Douglas’s character is thrown into situations in which he must make quick decisions that dictate where his “game,” or life experience, takes him next; students learned to identify the key provocations and players that influenced a sequential chain of scenarios, resulting in the successful orchestration of the narrative. Today, there seems no doubt that we are merging consumer culture with an experience economy, and this may eventually lead our transitioning into an "experience society." 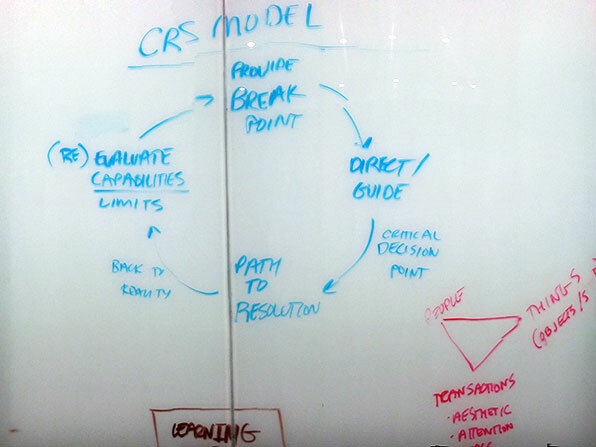 Through observation, deconstruction and mapping, the class was able to narrate an experience more clearly. 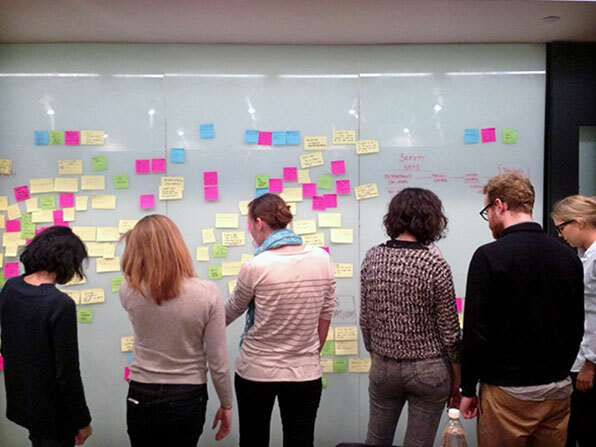 Over the seven-week duration of the class, an “experience inventory” of insights was collected, then showcased, at the end of the semester in the form of a social event aimed at encouraging thought and discussion around the central question of the course: What ingredients create meaningful experiences?